A few hours ago, I was trying to get my little witchlet to take a nap, so we were snuggling on the couch under the open windows. I thought I smelled the first hints of rain in an otherwise blue sky – but I could see the haze on the horizon. I could see the underside of the leaves in the wind. “A storm is coming,” I thought. “Oooh…” And then she proceeds to run around the yard, yelling to the sky “Storm is coming!” and “Bring it on, Thor!” (I may have prompted that one, lol) and demanding all the birds, bugs, and our cat get inside to be safe. Now we’re sitting on the couch in a dark living room, watching the wind pick up, listening to the thunder, and smelling the gathering rain. It’s moments like these that I love raising her to respect and appreciate nature. Skills I had to learn will be second nature to her. She’ll learn the difference between storm haze and air pollution; to use the upturned leaves to predict rain; to tell how far away the storm is by counting the space between lightning and thunder. 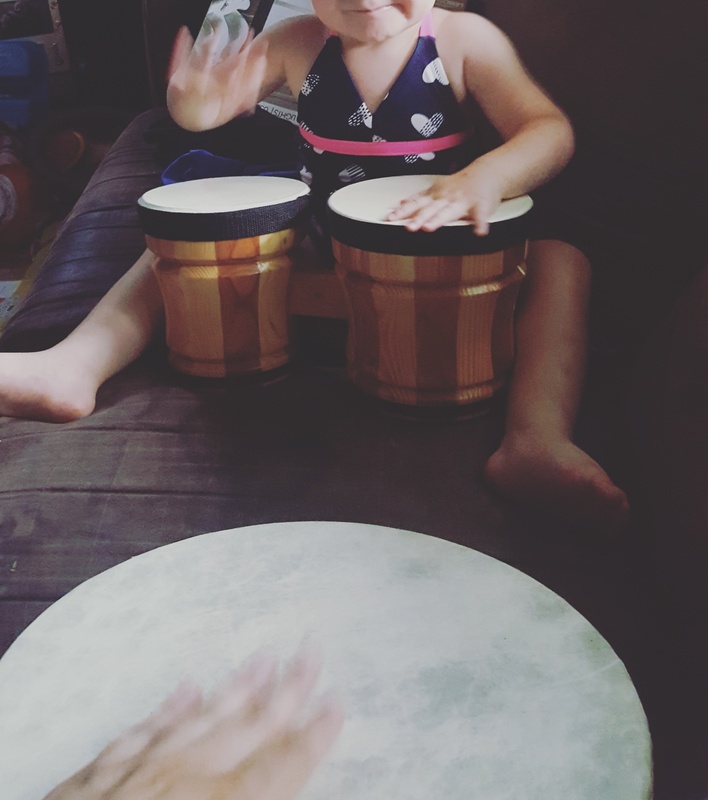 She’ll know we can usher in the storm by drumming, and help protect our home from damage this way too. But she’ll ALSO learn WHY the leaves flip in the wind, why counting helps us guess distance – and that’s the magick of science, or the science of magick. How do you incorporate traditional belief into a modern practice? What does your modern day magick look like?